Follow service road about 1/4 mile. Trail takes off to left. The trail follows the old Argentine Central railroad grade to the old townsie of Waldorf a ghost town now.From here you can take Argentine Pass to Montazuma ,or follow the railroad grade. It ends after afew miles. Review: This is NOT a ride for beginners!! Especially if you continue on to the pass from Waldorf Mine. (You gain about 1,600 feet of elevation in the final 2.3 miles while traveling over a pile of big loose rocks, all at an altitude over 11,600 feet.) Naturally, this makes the descent down from the pass back to Waldorf extremely treacherous. Yes, the graded singletrack section and the Forest Service road to Waldorf are not difficult, but with some tight curves and small technical sections on the singletrack, the starting elevation of 9,500 feet, and the high speed on the return, I wouldn't recommend this for someone just getting into the sport. 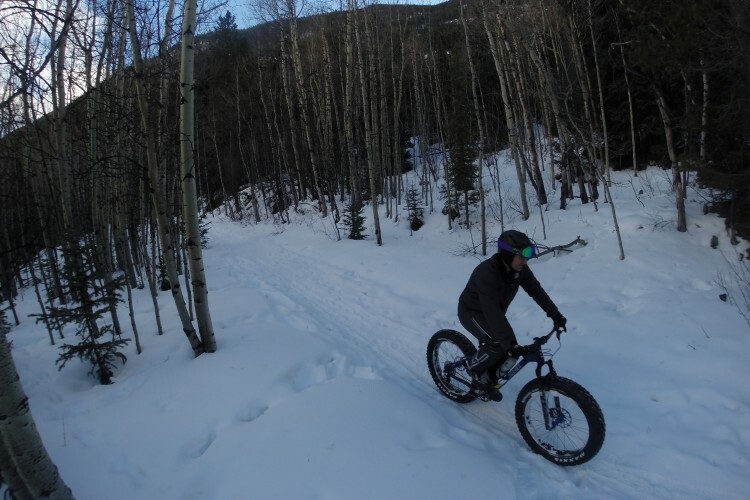 This is an amazing ride with great views of several 14ers at the top, but high aerobic ability and extremely strong handling skills are a must before attempting to reach the summit. Review: I thought this was a fun ride. Pretty easy but didnt seem to end. Here is a video to show ya what to expect. 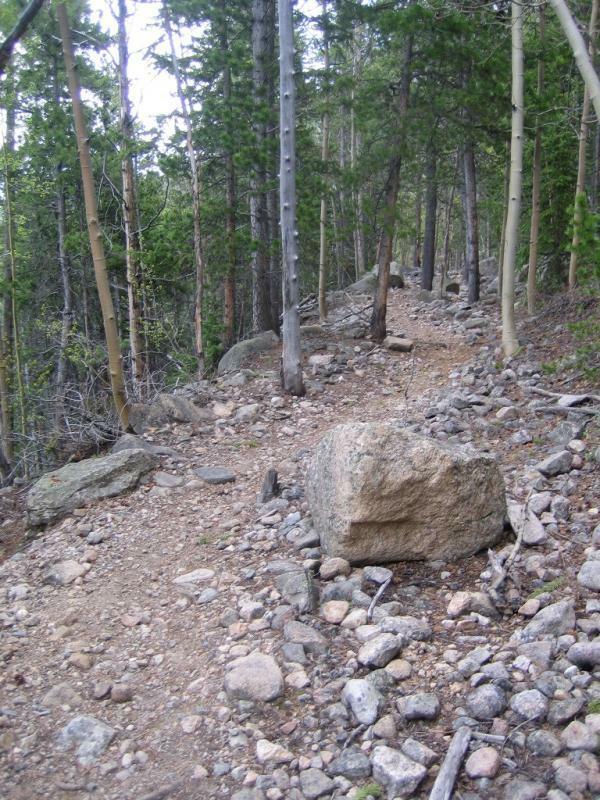 Review: The first three miles is good singletrack followed by a popular jeep trail. Expect to encounter several jeeps, motorcycles and other off road vehicles. The first three miles is easy singletrack at RR grade. Fun DH back to trailhead, narrow at times, trees close together. Review: Generally just up, up, and more up to the mine. Some okay views, but nothing really until you're nearly at the top. It's an easy grade, so not too hard for beginners, and there are a couple of interesting landmarks along the way. The trail shares a 4x4 road for a while. Review: The west side of Argentine Pass is treacherously technical!!! Once you climb past Waldorf Mine on the east side, the climbing gets more difficult to reach the pass at 13,200 ft. While the east side is jeep road, the west side is barely singletrack at times. Use caution coming down the west side because a slip to the downhill side could have VERY serious consequences. Argentine Pass MTB Trail 3.40 out of 5 based on 5 ratings. 5 user reviews.